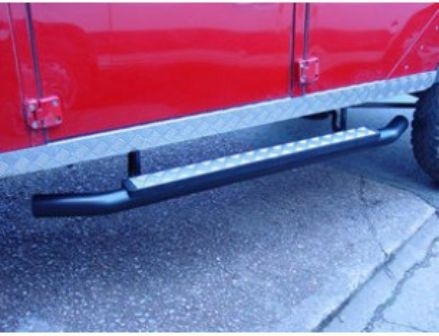 Sturdy chunky single tube construction, black powder coated heavy duty steel with a silver aluminium chequer plate tread mounted on rubber .<br> <br> Fitted in minutes with no drilling required. 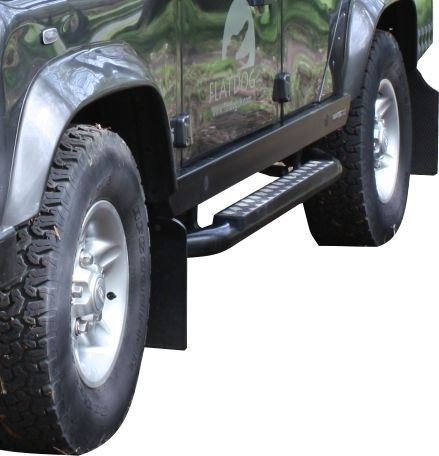 Sturdy chunky single tube construction, black powder coated heavy duty steel with a silver aluminium chequer plate tread mounted on rubber . Fitted in minutes with no drilling required.